Do a quick internet search for product design and development, and you’ll find all sorts of interior design, creative, and artistic sites. But, for design engineers and electronics engineers, the resources and blogs are harder to find. The good news is, for those looking for innovation and inspiration in product design and development, we at Pannam have found 50 product design/development blogs that fit the bill. Our top 50 product design/development blogs feature the latest information and news in design engineering trends, challenges, and regulations. From design sketches, to prototyping, to simulation and production, these blogs offer expert opinion, guidance, and tried-and-true methods for product design and development. We also included a few industrial design blogs and a couple that feature innovative and creative spins on design for good measure. Read on to see how others are navigating the fast-paced world of product design and development. Please note, our top 50 product design/development blogs are listed here in no particular order. EDN Network, an electronics community for engineers, shares information about tools, courses, and design to help you go from concept to reality quickly. 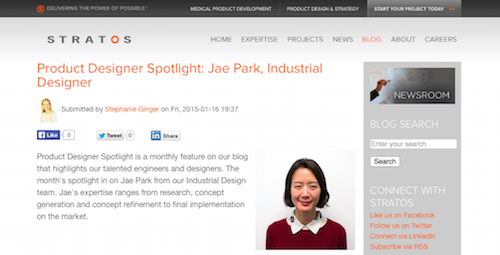 The network features hundreds of blog posts from leading engineers and designers. 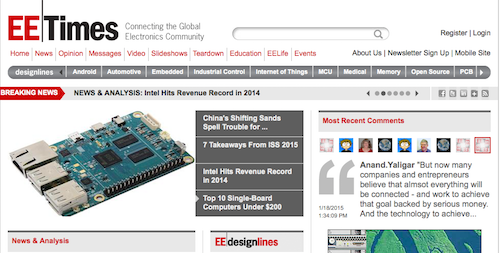 EE Times provides relevant news, analysis, and opinions for engineers. 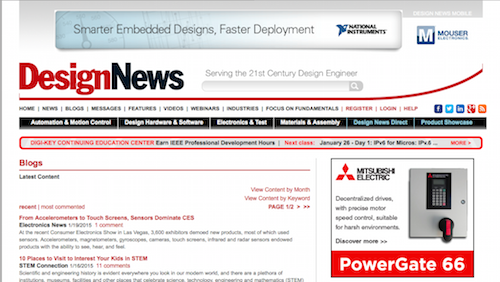 With an eye toward “connecting the global electronics community,” EE Times’ Designlines contains hundreds of posts relating to product design and is searchable so visitors can find exactly the content they want. Jameco Electronics, a provider of electronics components, power products, electronic design and DIY electronics kits, features electronics stories and projects from their customers. While not a traditional blog, the stories are presented in much the same way as blog posts and provide tips and lessons learned from individuals in the product design/development community. DesignNews, known as “the most trusted voice in the design engineering community,” covers four major areas relating to design: electronics and test, automation and control, materials and assembly, and design hardware and software. DesignNews readers get the latest information on new technologies and products and are sure to find solutions and innovation in any post they click to read. Electronics Design Group (EDG) is geared toward residential and business electronics technology. Recognized as one of the top systems integrators in the country, EDG features some of the most innovative and smart products and designs in the news today. An engineer in electronics design, Adrian S. Nastase started Mastering Electronics Design to share his views about the field. With a specialty in analog and mixed-signal design, Nastase generally posts about electronics design and modeling with an emphasis on analog design. The Electronics Engineering Video Blog (EEVBlog), is hosted by David L. Jones and is unique for his off-the-cuff, overly enthusiastic style. For electronics engineers, hobbyists, hackers, and makers, EEVBlog shares David’s knowledge from more than 20 years of experience in the electronics design engineering field. eevBLAB #5 – Are Mixed Signal (MSO) Oscilloscopes Worth the Money? This blog on electronics project and design offers updates on electronics projects, electrical components, and electronics design news. Electronics Project Design posts include everything from circuits, to LED projects, and everything in between. Bench Talk for Design Engineers is the official blog of Mouser Electronics, a distributor of semiconductors and electronic components for design engineers. The blog features posts about circuit protection, lighting, RF, and general ideas relating to design. Circuit Protection – Why Bother?? Readers enjoy Electronics Weekly because it provides the latest tech news for electronic components, products, and design. Their blog, Made By Monkeys, offers “an analysis of inferior, off-beat or malfunctioning products, and how other people’s failures can help us design better stuff.” Sometimes, celebrating other people’s failures makes designers and developers even better in their own pursuits. Nuvation is known for its custom electronic design services and has delivered over 800 projects since 1997. 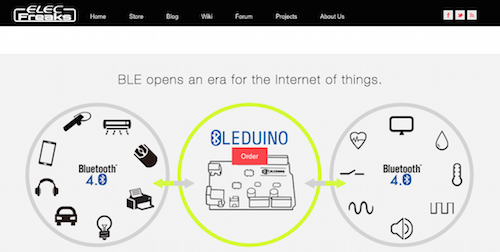 Their blog contains posts mostly covering news and electronic design services but also features content about project management, manufacturing, battery management systems, and other topics of interest for product design and development. While Zuken deals with the very serious side of software solutions for PCB design, electrical wiring from schematic to cable harness and panel layout design and e-PLM, their blog offers a more personal, lighter side of the company. With interesting and informative posts about electronic design, research, and even some How To’s, Zuken is a good read for anyone interested in product design and development. ElecFreaks provides a community for those who love electronics, including open source hardware, project development, electronics design, and more. Their wide range of post categories includes 3D printers, products, video tutorials, and more of interest to product design and development enthusiasts and professionals. The blogs of Circuits Assembly and Printed Circuit Design & Fab magazines, Hot Wires contains posts from the “electronics design, fabrication and assembly industry’s best minds.” Authors’ thoughts and analysis abound in posts archived back to 2006 that provide reading material on product design and development topics. Do You Need that Part, or is It Just Habit? Tech Design Forum is an online electronics system design resource. Giving hardware and software engineers information and analysis needed to make better technology decisions, Tech Design Forum provides expert insights and the latest information for those in the product design and development field. While not a traditional electronics or gadget design blog, Design Sojourn features some of the most innovative thinking and strategies for good design and clever products. As designers look to capture the eye of consumers and companies, they should check out some of the articles from Design Sojourn to get a creative take on design. Is Good Design Making us Stupid? Product Design & Development (PD&D) is on a mission to provide complete coverage of new technologies, trends, and more so that design engineers can complete their projects and reach quickly reach production. Their blogs do just that, as they are packed full of posts from thought leaders and industry experts who share their knowledge for product design and development. In a World of Talented Engineers, Where Are All the Leaders? Core77 features design news, resources, and inspiration. Posts cover a wealth of topics for everyone from design students, to design enthusiasts, to design professionals. A blog dedicated to the future of design, Inhabitat focuses on technology innovations, practices, and materials that drive product, interior, and architectural design. With an eye toward sustainability, Inhabitat posts follow the idea that “design will save the world” and offer insight into product design and development with a higher purpose. A senior industrial designer at Bresslergroup, Tom Murray blogs at Studioclues to share his take on the latest design news and trends. With categories such as Tech Watch and Product Watch, Studioclues is on pace with the latest news in the product design and development industry. The Industrial Designers Society of America, a nonprofit, is one of the oldest and largest membership organizations specifically for industrial design professionals. designBYTES is their online publication that resembles a blog and covers product design and development topics for anyone interested in the industry, even non-ISDA members. The Pensar team is a group of designers and engineers who specialize in “transforming careful observation into meaningful products.” Their blog posts feature design trends, everyday designs, and other creative takes on product design and development. Impulse Product Development offers product development from simple product design and development to complex, contracting manufacturing. They share their expertise through their blog posts, which cover a broad range of product design and development topics. Your Product Design Idea Made It to a Napkin, Now What? MEMS Industry Group is a trade association dedicated to “advancing MEMS (micro-electro-mechanical systems) and sensors across global markets.” The MEMS Blog includes posts geared toward device manufacturers, software designers, and others in the product design and development industry. Product Design Hub is an online community for industrial designers to share their knowledge and talents. The resources and inspiration found in the posts on ProductDesignHub are meant to further readers’ knowledge, experience, and skills in product design and development. How many tech companies today can claim they produce products and services that don’t become outdated and obsolete within a year or two? Is Contemporary Industrial Design a Form of Art or Engineering? CEL, a British-based product development company, is on a mission to “design products to help make jobs easier and a bit more fun.” Their Robox is a new desktop 3D printer, and their blog shares information on Robox and other 3D printing news as it relates to product design and development. Inertia Engineering is a firm dedicated to product design and product development. Their blog, momentum, focuses on “the people, process and business of physical product development” and offers advice and strategies for people involved in the product design and development industry. Where’s the Productivity in your Product Development? Brought to you by Logics PD, a company that helps clients with the design, development, and delivery of products related to the Internet of Things, Insights blog offers posts relating to the commercial and medical device fields as well as others. The information and solutions featured on Insights is sure to be of value for those in product design and development. The blog of Bresslergroup, Accelerator shares the organization’s knowledge and expertise through blog posts by their researchers, designers, and engineers. Focused on industrial and interaction design, Accelerator posts are aligned with consumer, medical, and commercial products. Forma focuses exclusively on medical devices and life science products. Their blog features their team’s expertise and creativity in posts covering topics such as aesthetics, device design, and innovation, among others of interest to people interested in product design and development. Leardon Solutions strives to help entrepreneurs, innovators, and small to medium business engineers develop their products. Their blog posts feature advice, innovations, and knowledge from their experts to help those pursuing product design and development. 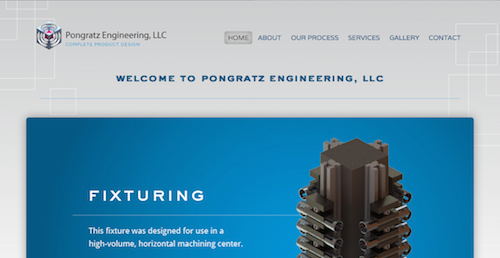 Pongratz Engineering provides a wealth of product design services. Their blog posts feature the knowledge and expertise of their team members and cover a range of topics relating to product design and development. Selective Laser Sintering (SLS): Is It the Right Process For Your Prototype? 3D Printing – Right for Your Project? Goddard Technologies seeks “to provide industry leading engineering and design services,” so they have combined engineering experience with manufacturable and creative industrial design solutions to become “the leaders in product design and engineering in the greater Boston area.” Their blog reflects their expertise in product design and development. Stratos is a product design and development firm that prides itself on its ability to work throughout the product development process to ensure successful products in the marketplace. Their blog posts share the expertise of their organization members and offer product development tips, product innovation, and other information that is valuable to those interested in product design and development. 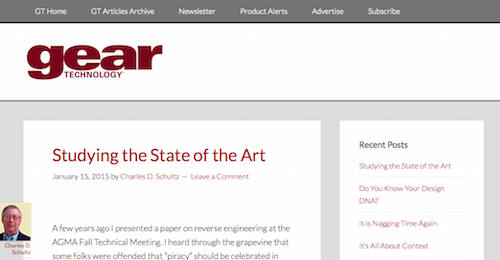 The blog of HS Designs, hsDNA contains posts from the company’s researchers, designers, engineers, marketers, and manufacturers. hsDNA is the place where these team members share their expertise, which spans 400 successful products and 42 years in the business, in product design and development. Speck Design works to bring innovative products to market. Their blog, Across the Specktrum, shares the experience of the Speck Design team and contains valuable insight for those looking to further their knowledge in product design and development. A full-service product design and development company, Catalyst PDG, Inc. handles industrial and mechanical design, prototyping, and other processes inherent to the field. Their blog content is just as comprehensive, as it covers research, engineering, prototyping, and design, among other categories of importance to product design and development. Speed vs. Efficiency. Which is best for the Product Development Process? A strategic design consultancy, Beyond Design, Inc. specializes in new product development and has brought successful products to market for a number of industries. Their blog shares their innovations and insights and is a great read for anyone looking for inspiration in product design and development. GrabCAD promotes the open engineering movement and collaborative product development to help engineers get products to market faster. Along those same lines, the GrabCAD blog contains tips of the trade and other advice for product design and development. Optimum Technologies, Inc., develops biomedical and medical optic devices that use light to sense, image, diagnose, and treat. The organization handles everything from concept to production, including prototyping, design, development, optical and biomedical engineering, industrial design, and more. Their blog features insight from their company leaders and experts on product design and development. A product innovation firm, Altitude, Inc. works to create “breakthrough products and experiences.” The Altitude blog shares the team’s expertise in strategy, design, and technology for product design and development. The Coolest Cooler: The Key to Agile Product Development Done Right? A leading provider of design, development, and manufacturing services in the medical instrumentation marketplace, KMC Systems works to bring in-vitro diagnostic, surgical, therapeutic, life science, and laboratory automation products to market. Thus, the KMC Systems blog includes content geared toward those in the medical device design and development field. Manufacturing Readiness Assessment Tool – Are You Ready for Production? In Machine Interface, chief editor of Control Design Mike Bacidore provides insight into and information on equipment automation and controls. Machine Interface is a valuable blog for controls engineers and system integrators who build machines for discrete manufacturing. The source for emerging technologies for design solutions, Electronic Design is an online magazine organized much like a blog. Articles and commentaries cover a broad range of topics for the design and development professional. The blog of Dassaut Systemes, 3D Perspectives explores the business of 3D and product innovation. Promoting collaboration and innovation, 3D Perspectives writers cover several categories relating to product design, including engineering, industrial equipment, innovation, and more. What is Behind Smart Machines? Southco, the “trusted global leader in engineered touch point solutions,” works with several industries to deliver access hardware solutions. Their blog covers several categories relating to product design and development, including engineering, position control, general design, and others. ANSYS helps their customers through their most complex design challenges with fast, accurate, and reliable simulation. 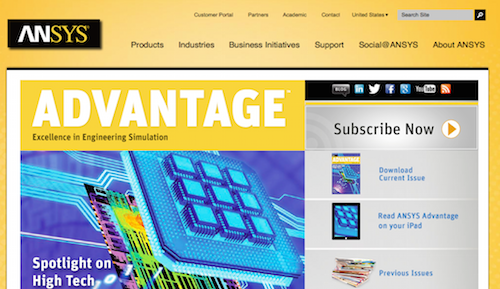 The ANSYS Advantage Magazine furthers their relationship with product designers and developers by sharing their expertise and insights regarding engineering simulation. Gear Technology offers articles and resources for gear professionals. While a specialized niche, gear technology plays an important role in design engineering. The Gear Technology Blog offers insight into this specialized area of product design and development. Do You Know Your Design DNA? 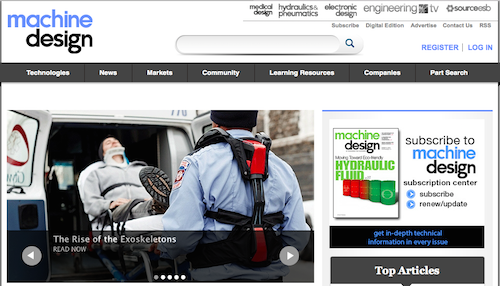 Designed for engineers, K-Exchange is the blog for sharing engineering ideas and information. Posts cover a slew of categories, including advice, design, engineering, and productivity for those seeking to learn more about product design and development. What’s the Difference Between Validation and Verification? Machine Design offers technical information for design engineers and those in the original-equipment market. An online magazine with links to blogs, Machine Design is a wealth of information for those interested in product design and development. Do Your New Products Sell Like Hockey Sticks? Thru-Hole Silver Circuit: What is It and What does It do?